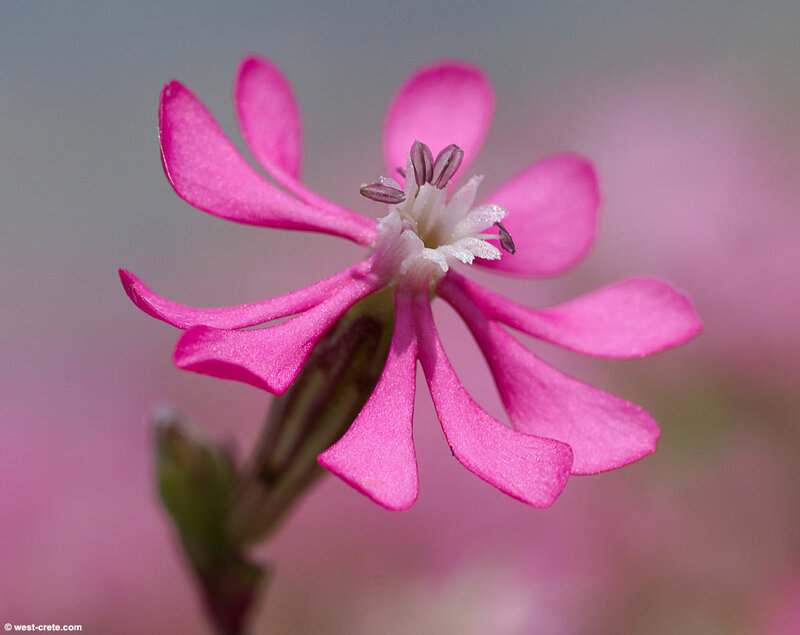 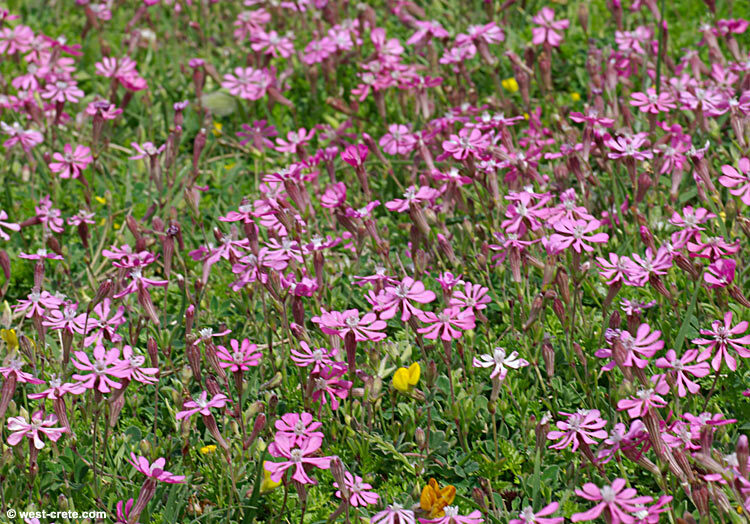 Silene colorata is one of the 27 species of Silene in Crete. It is very abundant near beaches and where there is sandy soil. 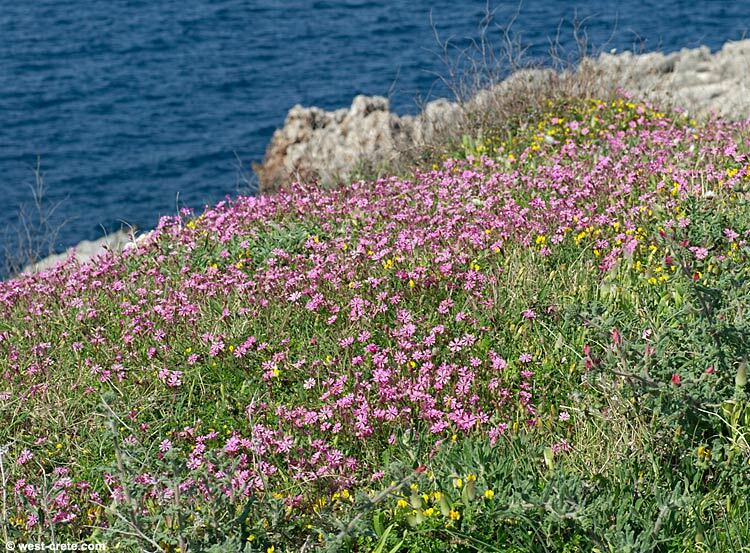 The tiny flowers (the petals are only 5 to 8mm long) beautiful pink carpets. Look a little closer and each flower is very impressive, tiny and perfect.